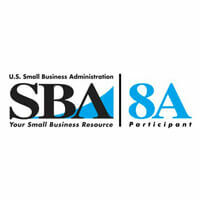 Section 8(a) of the Small Business Act as amended by Congress created the 8(a) business development program to enable SBA to assist small disadvantaged firms to develop and grow their businesses. Firms that apply to the program are rigorously evaluated on ownership, operations, financial health, and past performance. Once accepted, a firm is required to provide SBA with a detailed business plan and demonstrate annually continued success as a viable, strong business entity. Firms that are approved are certified by the SBA for a period of nine years. The SBA has signed Memorandums of Understanding (MOUs) with Federal Agencies, allowing them to contract directly with certified 8(a) firms. Participants in the 8(a) program can receive sole source contracts up to a ceiling of $4 million for goods and services. The Small Business Administration (SBA) 8(a) Sole Source vehicle enables agencies to engage in direct buy contracts with certified contractors. Reduced decision cycle: the time required to award an 8(a) sole source contract is usually within days. Lowered administrative costs: procurement process and time is reduced to a minimum. Prices reflecting the best value: agency negotiates with the firm directly to get the best value. Credit for promoting small business participation within agency. Can initiate a contract with a simple high level statement of work. The Government program manager or interested party develops a statement of work, prepares a government estimate, and obtains the necessary funding. The Government program manager or interested party chooses specific 8(a) to perform the work and submits a procurement request to the agency contracting officer. The agency contracting officer prepares and submits an “Offer Letter” to the SBA Business Development Specialist (the PoC is Jerron Duff). SBA processes the Offer Letter and returns it to the agency contracting officer who submits the Statement of Work and Request for Proposal or Quotation. The 8(a) submits the proposal which is evaluated and negotiated (if necessary) by the agency. The contract is awarded to to the 8(a). These steps can be accomplished within a few days in most cases. TekSynap has a strong and productive working relationship with the SBA-assigned Business Development Specialist (BDS) who is willing to help clarify questions related to the 8(a) program and facilitate any contract award.